AMY SWEENEY/Staff photo. 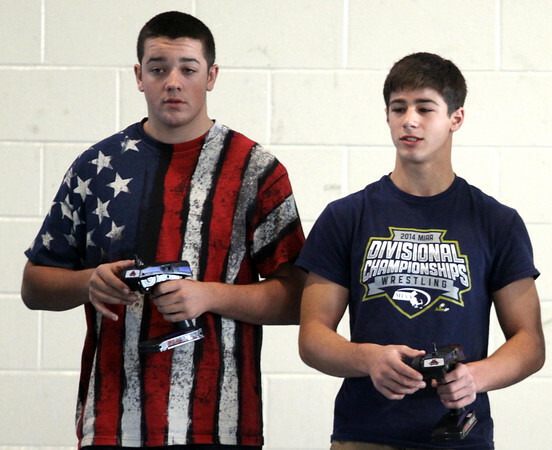 Jeff Wallace, left, a member of the Stars & Stripes and Charlie Galanis, a member of Death Row, both seniors at Ipswich High School run the cars in the National Stem League Invitational on Friday held at Andover High School. Ipswich had three of the ten teams that competed with RC cars in endurance, road and drag races. November 14, 2013.